Fly in sync, better, faster and further. Streamline your processes, redeploy resources, increase your margins. Are you copying and pasting between awesome systems? Or would you rather be here? Ask us how we can help you get there. Partner with W3 to help your customers with leading edge business automation solutions. If you're looking for a reliable way to QUICKLY & EASILY integrate ALL your data into a singular, contextual, agile platform that works with ALL the Tech you already have in place and as a BONUS, make it EASIER on customers to do business with you, then the iConnect eBusiness Suite is the Solution you've been looking for. Make it easier on customers & prospects to do business with you. Customer focused portal integrates with your legacy systems and cloud-based services. Gain better visibility into and across your disconnected business processes. Improve your quote to Order to Invoice processes. 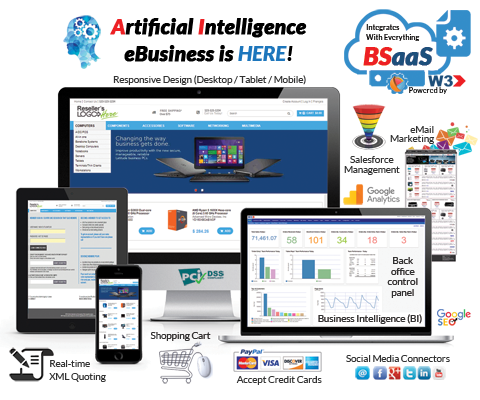 Apply Artificial & Business Intelligence to help you Boost Sales. Streamline & automate your lead generation and marketing activities. Your one-stop window for all Customer Interactions. Connect ALL your systems to work better together! With real-time connectivity & intelligent workflow automation, streamlining and integrating ALL your data silos into a singular, contextual, agile platform that works with ALL the TECH you already have, is EASY when using the iConnect OneView Dashboard. Using our Business Process Automation as a Service (BPAaaS) and our Integration Platform as a Service (iPaaS) solutions; streamlining, automating and connecting All your business systems together with customers, suppliers, service providers, financial systems, legacy & 3rd party software applications to work better together is EASY with W3. If you would like to explore how we can work together, lets set up a 15 minute discovery call to get the ball rolling. W3 provides business services that run on the cloud to SMBs (small to medium businesses), mid-size and large organizations. Here are 5 ways that W3 helps businesses transform their sales organizations from being GOOD to GREAT. Qualified and experienced employees come at a price, and while some businesses may not be able to afford them, others are simply not ready to justify full-time dedicated resource(s) for those demanding and highly responsible positions. On the other hand, you may have the budget but are finding it difficult to hire the right employee(s) to build and manage your solution. By contrast, hiring people to build & maintain a cloud solution takes a lot of time, money and resources. With W3, you get everything you need from a single source and from today’s most advance cloud business infrastructure, including; industry-specific business solutions and a DEDICATED team of cloud professionals, business experts and industry specialists who have all the knowledge to provide you with a BEST-in-Class experience, that’s hassle free, delivered within hours and all at an affordable and predictable price. At W3, we provide our clients with round the clock services and support 24-7-365 by proactively staying ahead of the competition by maintaining and addressing service issues before they happen. This means continually updating, upgrading and adding new features and services to our infrastructure like artificial intelligence, business intelligence, predictive monitoring and so much more. Everything from streamlining and automating repetitive tasks, integrating and maintaining connections with important resources, creating and deploying advanced technologies and so many other behind the scenes business critical functions. W3’s biggest competitive advantage rests in its plug and play cloud business infrastructure. From end-to-end, W3 offers simple one-off APPs to offering enterprise-level solutions that streamlines, automates and connects entire industries to work better together in the cloud. W3 does everything, we connect and integrate with anything and we provide solutions and support to every industry. When it comes to customizing and scaling your solution from a fixed service plan to a fully customizable Enterprise-level eBusiness solution, the transition and upgrade path is EASY when using W3’s proven and tested ‘Start Smart’ eBusiness Review process. This review is part of our Professional Services offerings, where W3 takes the time to evaluate, document and create a ‘Current State’ Business Workflow Map of your existing business processes. Using this document and based upon your requirements, W3 creates an ‘Immediate State’ eBusiness Workflow Map that’s customized to your business to illustrate the best deployment strategy with the least amount of disruptions to meet your immediate objectives. As a final step, we’ll create a ‘Future State’ eBusiness Workflow Map that can be used as your Digital Road Map on how W3 can assist you even further into the future. With W3, we’re a one-stop shop when it comes to streamlining, automating and running your business better in the cloud. With W3, you get EASY access to a multi-million dollar cloud infrastructure, a best-in-class technology platform, 100’s of customizable industry-specific solutions, unlimited upward scalability, a support team that’s dedicated to delivering the very best performance and a scalable walk before you run deployment strategy that can work with ANY budget. With unlimited scalability, best-in-class services and a predictable pricing model, W3 is here to help propel your company into the future at a cost you can afford. Using our walk-before-you-run deployment strategy, combined with our predictable pricing model and growth strategy, growing your business in the cloud is EASY with W3. With W3, we’re here to make it EASY on you to streamline, automate and run your business better in the cloud than you’ve ever imagined. With W3 as your partner, growing your business has never been EASIER or MORE affordable! Improved client service portal to make it EASIER on clients to do business with (My Account Portal – gives clients real-time easy access to their business critical information). Plus it’s FREE to get Started! Turn-key Business Solutions & Popular Add-on Apps! 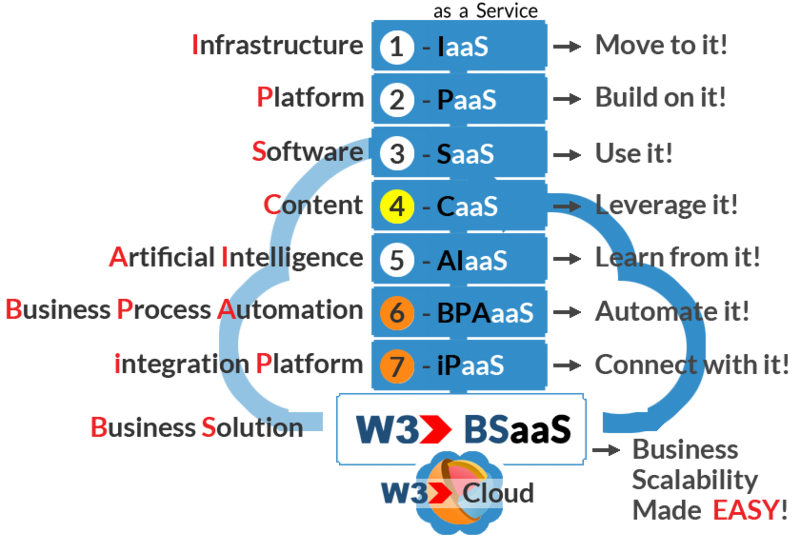 W3 provides intelligent, real-time business solutions that are delivered as a service (BSaaS) to help organizations streamline, automate and simplify their business processes to run better, faster and further in the cloud. With W3, transforming your workforce by reducing obstacles, improving efficiencies and helping you do more with less is EASY using W3's BSaaS solutions. iConnect Plug-in Catalogs are created and managed by Content Owners (manufacturers, distributors, franchisors, wholesalers, agencies, CSP, associations & others) using the W3 CaaS App. The purpose of an iConnect Plug-in Catalog is to make it EASIER on Channel Partners to consume & leverage structured content in a digital-ready format that can be used in real-time within a channel partner's iConnect eBusiness App without having to apply ANY resources. It's ALL about making your Brand EASIER to do business! iConnect Plug-in Catalogs make it EASY on Content Owners to distribute and share STRUCTURED Content in a way that empowers Channel Partners with the tools, technology and digital content needed to promote, market and recommend your Brand more effectively & efficiently than ANY other means on the market. It's your NEW 'Ease of Doing Business' Channel Partner Sales Strategy! If you are a Content Owner (manufacturer, distributor, franchisor, wholesaler, agency, cloud service provider (CSP), association or other) and would like to learn more about how you can create your own iConnect Plug-in Catalog, please visit our W3 CaaS App section. Streamline, integrate and connect your legacy & 3rd party software applications with your iConnect Solution. The iConnect payment gateway connector provides business owners with an easy way to connect their iConnect Solution to a service provider that authorizes their credit card and/or direct payments processing requests. 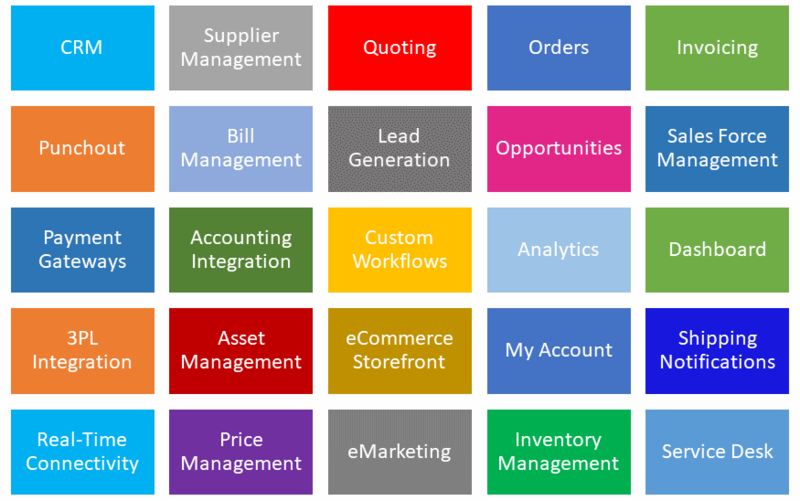 W3 provides both fully integrated CRM & Sales Pipeline modules for use within your iConnect Solution, however W3 can streamline, integrate and connect with your preferred software. W3 offers business owners with an easy way to connect their iConnect Solution to their preferred software. W3 offers integration options to help you streamline and connect your iConnect Solution with your preferred software. With W3, you can run your entire end-to-end business processes in the Cloud using our Enterprise level platform or you can pick & choose the modules you need and W3 will streamline, automate and integrate them into your existing business processes to function as a fully integrated business workflow solution. Doing business with W3 is easy, affordable and quick to get started.